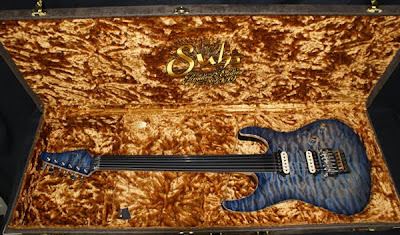 "Trans Whale Blue Burst" is the name of the finish treatment on this quilted maple top. What's kinda funny is that the first thing I thought upon seeing this guitar was, "I wonder what they call this finish..."
Now we know. 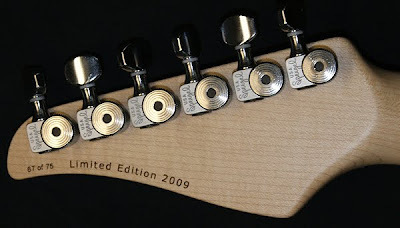 So if you look really close at the headstock face, near the G string post, you'll even see the blow hole. 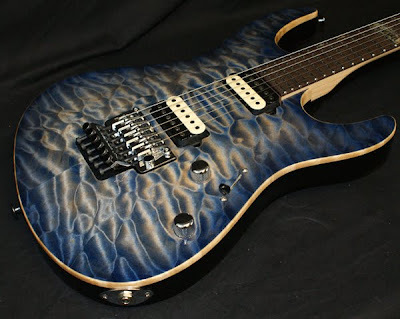 We're featuring lots of Suhr guitars lately. That's because I like 'em! 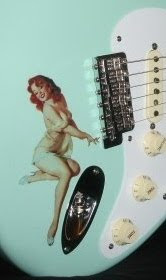 eBay Seller: wwwguitarasylum - NYC based dealer.